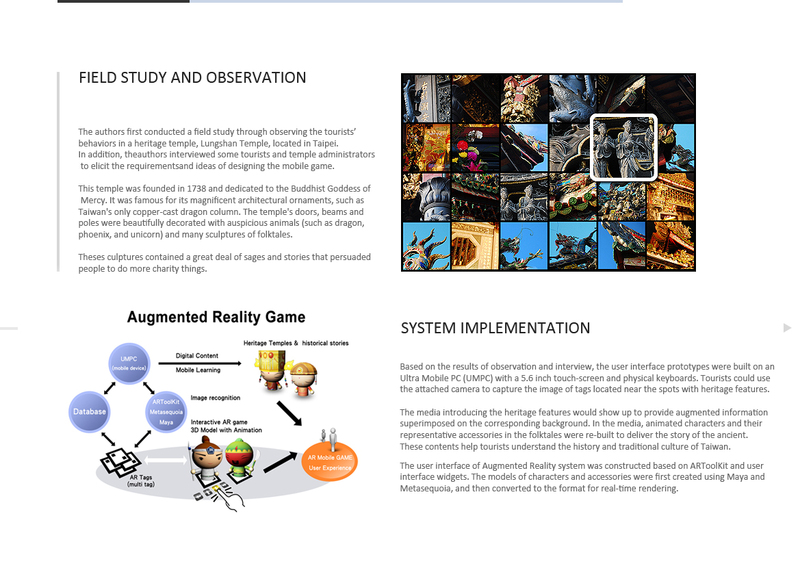 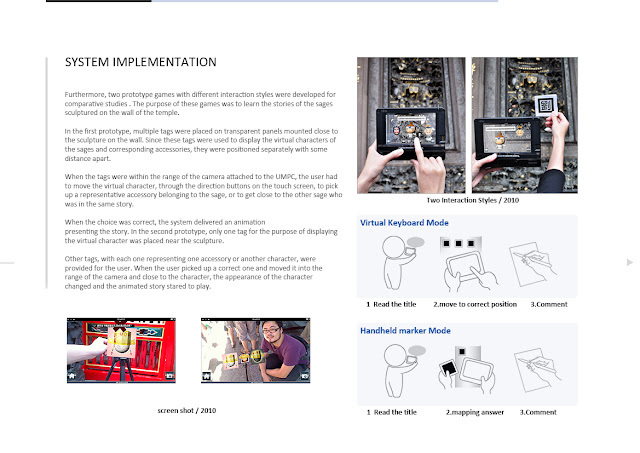 In order to increase the performance and enjoyment of mobile learning in a heritage temple, the objective of this research was to develop a mobile game based on the technology of Augmented Reality (AR). The authors first conducted a field study through observing the tourists’ behaviors in a famous heritage temple. In addition, after interviewing some tourists and temple administrators, the requirements for designing the mobile game were obtained. Two prototype games with different interaction styles were developed for comparative studies. 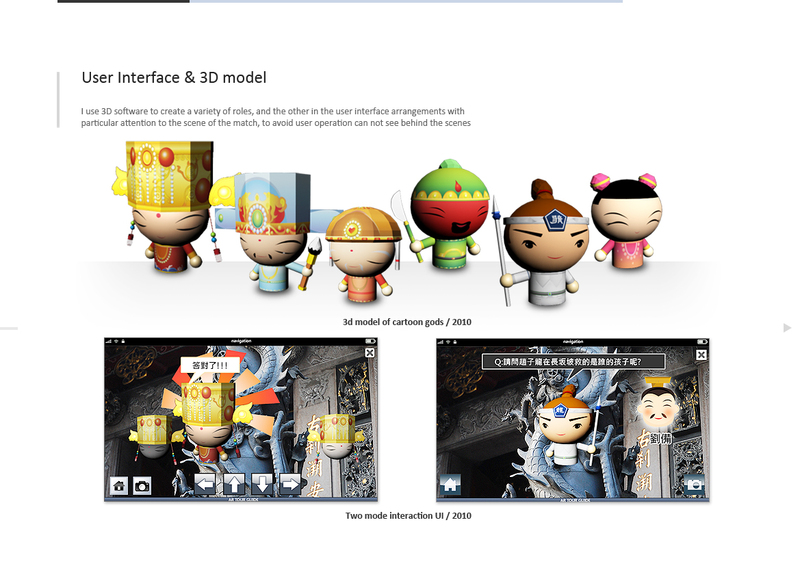 The purpose of these games was to learn the stories of the sages sculptured on the wall of the temple. 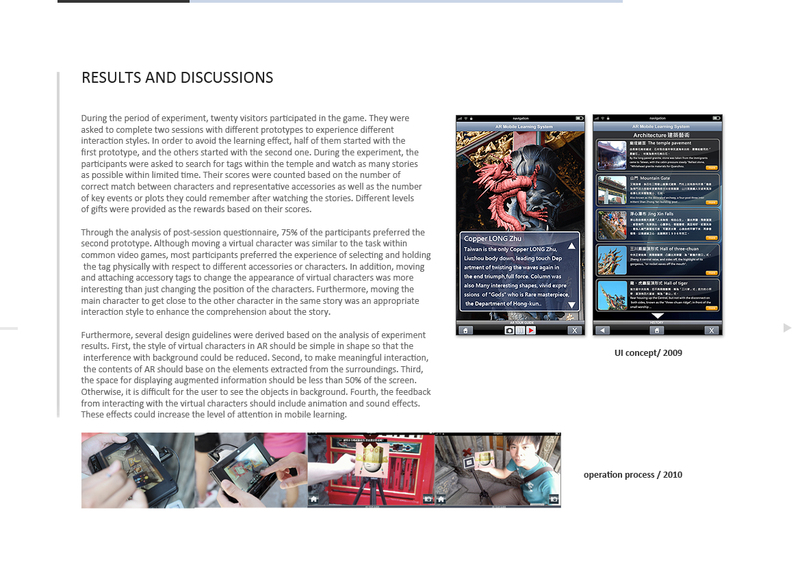 Based on the results of experiments, the participants appreciated the AR approach. 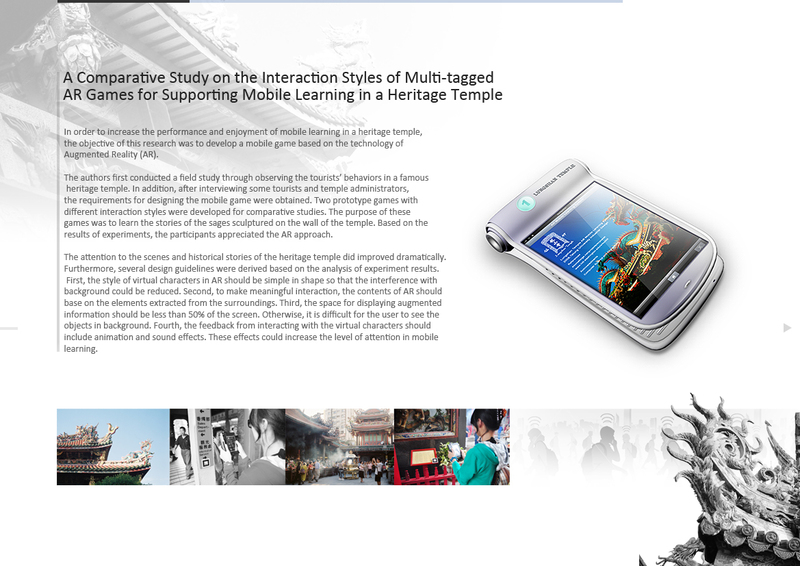 The attention to the scenes and historical stories of the heritage temple did improved dramatically.